Minions Crayola Inspiration Art Case - Was $34 Now Only $19.97! You are here: Home / Great Deals / Amazon Deals / Minions Crayola Inspiration Art Case – Was $34 Now Only $19.97! Minions Crayola Inspiration Art Case – Was $34 Now Only $19.97! 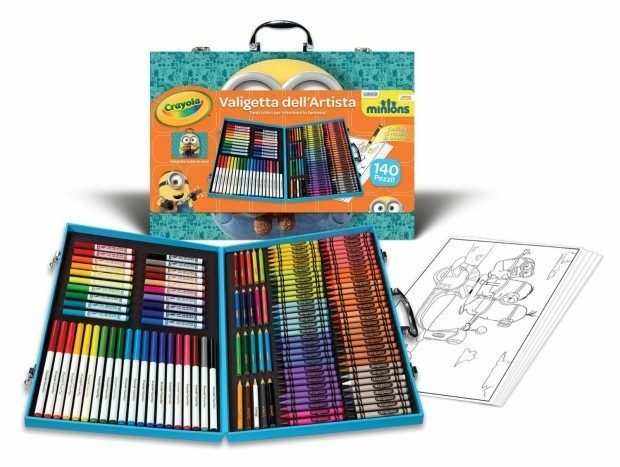 Head to Amazon to get the Minions Crayola Inspiration Art Case – Was $34 Now Only $19.97! Shipping is FREE on orders of $35+ or if you have Prime! The portable art studio kids can take anywhere; Contains over 150 pieces!